Escape the busy tourist spots of the Algarve and discover the unspoilt Sagres Peninsula, a region of spectacular natural beauty with rugged cliffs, dramatic coastlines, sandy beaches and lush countryside. On our 10-night walking holiday, a mixture of forest, valley and coastal trails take you inland and along Portugal's west and south coast, affording breathtaking views and some truly memorable moments. Starting on the west coast you'll walk along the Rota Vicentina and Fishermen's Trail, discovering delightful whitewashed villages and golden beaches, before the course of the Sinceira River leads you inland to charming Pedralva. Following a fragrant forest route you'll reach the picturesque village of Vila do Bispo, from where you'll make your way to the mesmerising Cabo de Sao Vicente - Europe's most south-westerly point and an unforgettable part of your holiday. Be sure to take your camera - the views are incredible! You'll follow one of the Algarve's most beautiful walking trails to historic Lagos, before rounding off your holiday in style, walking the cliff-tops to some of the area's finest beaches. You'll stay in a wonderful variety of hotels, all with pools, including a charming hotel in Sagres with wonderful views of the fortress and over the crashing Atlantic below; a rustic house in Pedralva (every house in the village has been restored to provide accommodation! ); a well-restored pensao (coaching inn) in Vila do Bispo complete with spa; and a family-run hotel just 20 minutes' walk from the old town of Lagos. We've included five evening meals so you're free to sample some of the area's superb local restaurants. Full GPS files are available for all walks on this holiday. 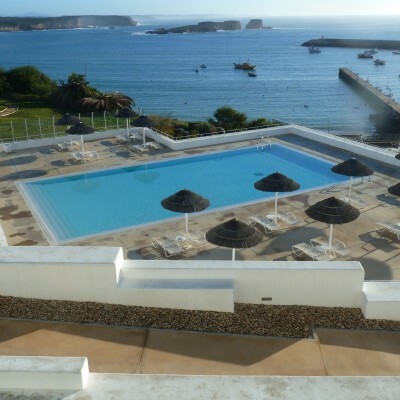 Arrive at your hotel in the coastal town of Sagres. After a 30-minute transfer you'll start today's walk, following the Fishermen's Trail to the cliff tops and the glorious Amado beach. You'll make your way to Carrapateira - perhaps stop for a picnic lunch or sample one of the village's snack bars - before following the Rota Vicentina past one of the Algarve's best viewpoints, on your way to Pedralva. The choice is yours today. You could relax and explore this charming village or purchase some picnic supplies and follow one of our suggested walks! A cliff-top route takes you back to the beautiful Amado beach; you'll enjoy breathtaking views out to sea, with the return leg offering valley and forest views as far as the Serra de Monchique. A shorter walk takes you along the Marreiros plateau where you'll enjoy far-reaching views over the rolling countryside below. After an enchanting walk through pine and eucalyptus forest you can choose from two routes. One follows the Rota Vicentina and pretty meadows to Vila do Bispo, whilst the longer route makes a horseshoe loop into the Costa Vicentina Natural Park, to the Praia da Barriga (Barriga beach), set at the end of a long and lush valley and backed by dramatic cliffs. Today you could wander the quaint streets of the village or choose to follow one of our suggested walks. Perhaps take in the cliffs and viewpoints above Vila do Bispo, or walk through a landscape of rolling hills and gentle valleys, through the village of Raposeira, to the Guadalupe Chapel which is thought to be one of the only Knights Templar buildings left in Portugal. The undoubted highlight of today is making your way to the south-western tip of Europe - Cabo de Sao Vicente. Following country lanes and coastal trails, you'll enjoy some superb scenery en route and feel on top of the world when you arrive! Take a tour of the lighthouse, visit the museum, or relax with a drink in the bar before we transfer you (5 mins) back to Sagres. If you can tear yourself away from the hotel pool, why not take a walk to the Ponta da Atalaia and Ponta da Baleeira headland today? You'll experience wonderful views over Sagres' impressive fortress and the Mareta and Martinhal beaches. Alternatively, head straight to Martinhal Beach for a stroll on the sand and a drink at one of the bars! It's stunning scenery and seascapes all the way today as you follow one of the Algarve's most beautiful coastal walking trails. A 20-30 minute transfer takes you to one of two possible starting points, depending on which length of walk you choose. The route takes you through the picturesque fishing villages of Burgau and Praia da Luz with their whitewashed houses and picture-perfect beaches - perhaps stop for lunch at one of the bars or restaurants or enjoy a beachside picnic. It's just a 20-minute walk from your hotel to the Old Town of Lagos. 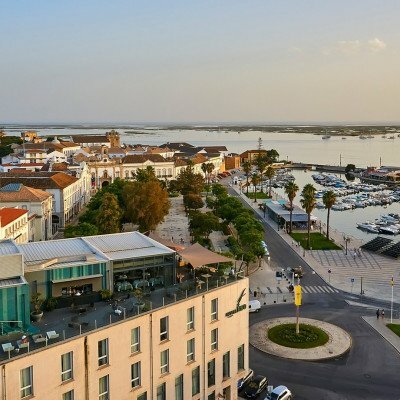 Here you'll find the C14 walls protecting a tangle of cobbled streets full of shops, bars, cafes and restaurants, along with ornate churches, some interesting museums and the pride and joy of Lagos - its bustling marina! Today's walk has some fabulous scenery! After a transfer (20 mins) to Figueira, you'll follow a route through rolling countryside to the cliff-top headland above Praia do Zavial, before continuing via the beaches of Ingrina and Barranco up to the Sagres plateau. Cross the tiny Praia dos Rebolinhos before a final stretch along Martinhal Beach back to your hotel - take your boots off and enjoy the sand between your toes! 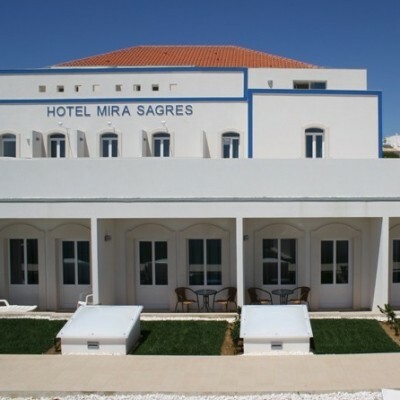 The Mira Sagres is an historical pension in the fishing village of Villa do Bispo and a regular haven for journeying pilgrims making their way to Cape St Vincent. The fascia of the pension has now been lovingly gentrified and in keeping with the local tradition, has now been stylishly whitewashed, it also boasts an impressive indoor pool. On a good day from the high terrace at the hotel you can see Sagres in the distance. We had a very good holiday being well looked after from the moment we arrived. Ludmilla and Tony are a credit to Headwater and looked after us really well. Walk notes were well written and easy to follow. Time distance of each walk were accurate. We passed on a couple of updates to Tony who dealt with them immediately. All pick ups and tranfers were on time. We would definitely recommend this holiday to anyone wanting to viist the Algarve. Very well organised. Local guides very helpful. The stunning south-west coast of Portugal is an excellent choice for a walking holiday, with the best accompanying notes we have come across in all the Headwater holidays we have taken! Brilliant that different length holidays are available, making the area attractive to more people. Just returned from walking the Algarve's south west coast, beautiful walks on the west and south coast, and we stayed in lovely hotels. Views stunning. Good food. Tony and Ludmilla were great reps, lots of support if needed, and met up with us at the beginning and the end of our holiday. Most walks do not have much shade, we had good weather for walking, warm but overcast. We felt it was a well planned holiday, even returning to Sagres during the week, gives you a different perspective of the coast. Thank you, Headwater, once again, a lovely holiday! Lovely walks, any uphill sections were well rewarded by fabulous views. 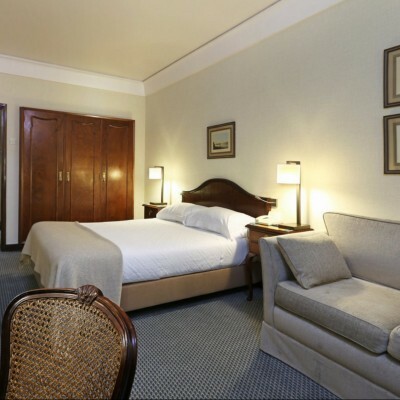 The reps were wonderful and hotel staff all very helpful and friendly. My wife and I have just returned from a 10 day self-guided walking holiday in the Algarve. From start to finish, the organisation and support from our two local reps Tony and Ludmilla was first class and we stayed in five different hotels during our stay all of which were good value. The walking was generally quite easy and usually covered about 10 to 14 miles per day with optional rest days at each location if desired. Several days were spent walking along the coastline which was never less than spectacular. Walking routes were about right distance. Temperatures were ideal for walking. On a few routes the paths were very rocky so a bit hard for a while.but generally quite comfortable. On balance 10 days with 3 stays in Sagres was probably a bit long in one place. I would recommend 8 days as length for this holiday. Great walking in a beautiful part of Portugal. Stunning beaches and a landscape carpeted in an array of colourful wild flowers. The most enjoyable walking holiday we've been on! The route notes were excellent. Tony and Ludmilla were perfect reps, happy to accomodate any changes we wanted, were very attentive and a great source of local information, couldn't have been more helpful. Beautiful countryside, outstanding walking, very kind and hospitable people. Staying in such a variety of places enhanced our enjoyment. Tony & Ludmilla were excellent reps, always there when we needed them but never intrusive. Tony’s walking notes were superb and the additional optional walks for the free days really added to the enjoyment of our holiday. We totally fell in love with Portugal and would do this same trip again as we enjoyed this holiday so much. Excellent package, walking one day, then day free. Good walks with excellent instructions. Delightful part of Europe to walk in. Hotel Costa D'Oiri, Lagos was disappinting. Your information said "spacious rooms", ours was the least spacious of any of the hotels. 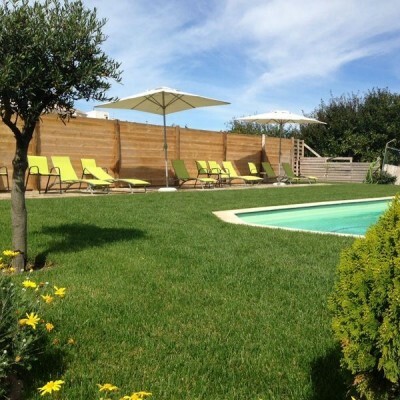 Also "outdoor and covered pools allow swimming throughout the year. The covered pool had its cover pushed back, so it was too cold to use. Choice of food very limited. A great well organised walking holiday, challenging but not too tiring. Arrangements were expertly taken care of and we simply relaxed and enjoyed our holiday. This was a great holiday - diverse for walking and accommodation with beautiful countryside, woodland and coastal walking. Walking not too strenuous but plenty of scope to do more if you wanted to. It was a little windy & cool at times, worth bearing in mind for clothing. All of the accommodation offered something different and they were a pleasure to stay in. All of the arrangements worked really well (which was in part due to the hard work of Ludmilla and Tony who were both helpful and friendly and very knowledgable) and we both thoroughly enjoyed it. Up there as one of our best Headwater holidays (and we have done quite a few!). Couldn't fault the arrangements, all worked very smoothly. Our rep Ludmilla was superb, walking notes were very good and easy to follow, accommodation was excellent. Even the weather stayed good. Couldn't have been better. Some great walks along Portugal's beautiful, unspoiled and dramatic coastline with an excellent choice of hotels for good food and comfort. A lovely holiday, we enjoyed every moment. The coastal scenery was spectacular, the countryside lovely - full of wild flowers. The accommodation was excellent and the stay in Pedralva was a great experience. We enjoyed the food and the local people we met were all very friendly. Our Rep ,Ludmila, was very friendly and efficient. This is a most enjoyable walking holiday. You see some spectacular scenery and stay in some lovely places. In September the weather was hotter than we had expected which made the walks quite demanding, but the excellent notes provided by the guides meant that we never got lost. Most of the hotels were excellent, but while the breakfasts at Costa d'Oiro were good, the dinners were not. There was little choice and the main courses were of poor quality. Every two days from 22nd Apr 2019 to 20th May 2020, for 10 nights. All dates are subject to availability, please contact us to check. Due to the tailor-made nature of our holidays, we need a little more information in order for us to check availability for Walking the Algarve's South West. Simply complete the form below and a member of our sales team will contact you (when it's most convenient for you) to provide availability information, travel options and an accurate price. Of course there's no obligation, but if you do wish to proceed with a booking they will be on-hand to assist you throughout the process.